Stacey is committed and thriving to get you moving. Her passion is ignited by helping others choose a healthier life, full of energy and having fun while doing it. She focuses on "WHOLE BODY" coaching, while encouraging a positive self-image and feeling good about yourself. With over six years in the Wellness industry and a certification in Holistic Health, Stacey, can guide you to reach your most fit and happiest self. Specializing in Thyroid, Diabetic and Asthma disorders, she creates programs individualized to a person's goal. Battling her own Hypothyroid /Hashimotos, struggles, she knows it's a balancing act and stays motivated while also incorporating health and fitness into her own every day journey. Stacey has successfully taught; Zumba, Body Combat, Spin, and now certified in Pound. Let's reach our ideal healthy lifestyle together one step at a time! Trena Edwards: One awesome YOGI-woman! This professional fitness expert has so many talents. Trena teaches multiple formats . . . I used to attend her Bootcamp, and oh my gosh . . . the girl ROCKS! As a YOGI at JACS Figure On Fit - - she knows how to relax, stretch, and make our bodies respond in a way that says ...ahhhhhhhhh, and THANK YOU! 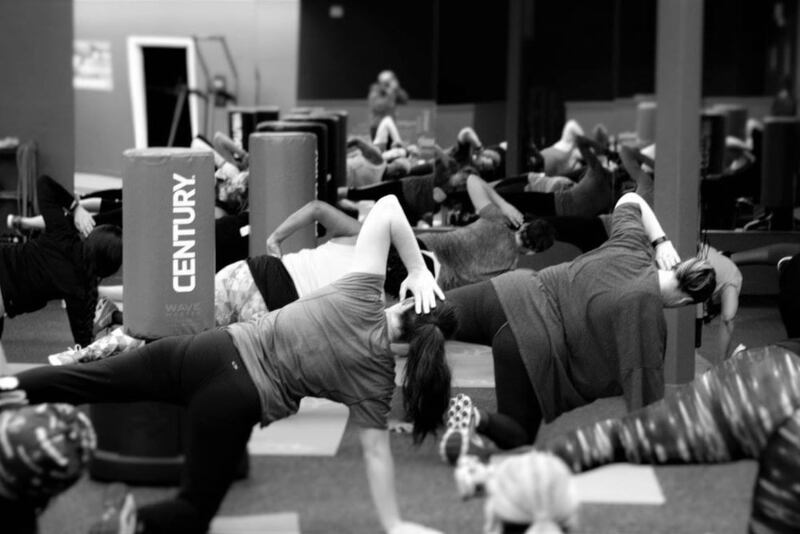 Come check this fit pro out: check the schedule, you'll find Trena for two Sundays each month! Feisty! Strong! Bold! Amazing! Dynamic! Words to describe SUSAN! She is one rockstar! A personal trainer, group exercise instructor, and a former body builder competitor! She's a storm of good energy - - to attend her class is to find a person to hang with at JACS Figure On Fit! Hi Fit Fam!! I am Delia Ann Hayden and so happy to meet you and work out with you! A little about me: I am a mom of two little boys, five and three years old. I am a new stay at home mom. I have been married for almost eight years! WOW! We moved from Albuquerque, NM to Gilbert, AZ almost two years ago. I miss my cold weather, family, and green chili! I love FOOTBALL!! I am a Green Bay Packers fan!! Go Pack Go! My dream job is to be a football coach..hahaha!!! I use to teach 3rd grade and am endorsed in PE! I love fitness and my kids and me work out all the time! I also love love yoga!! So you might catch me doing handstands and such! I am certified in PiYo :) I hope I give you a great workout! Please tell me if you have any questions! I am here for you and want to make you feel great and comfortable!! Hope to meet you soon!! !